Twenty-five years ago, Tom Joule began selling clothes at outdoor events in Great Britain. He realized that his customers were a bright and colorful bunch but their clothes were quite the contrary. 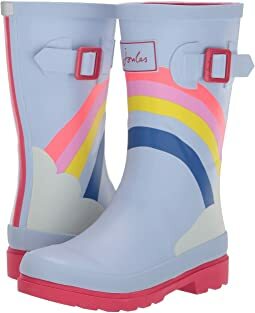 Tom decided to change the scene and since then, Joules has become the go-to source for quintessential British style, incorporating premium, quality clothing for girls, boys, and baby. It is a true lifestyle brand believing in experiences that warm the heart, create everlasting memories, and put smiles on all of our faces. Joules celebrates a talented team of individuals working across everything from print to production, all singing from the same hymn sheet to make the ordinary extraordinary. There is most-definitely no lack of vivid and brilliant style in their signature design. From everyday fashion dresses, tops, and pants to trendy rain gear, your little ones will feel full of wonder in Joule's stand-out styling. Very disapointed ordered two times thinking they sent the wrong size! Shoe marked a size 3 i guess that is a Europe size because i ordered a 4 and it was to small each time. 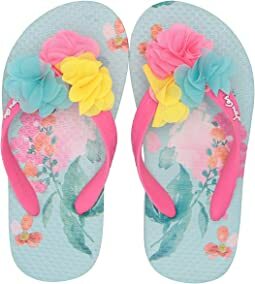 Trying to find sandals for my daughter for Easter have 3 days now to do so. These boots are super cute, soft, and comfortable. 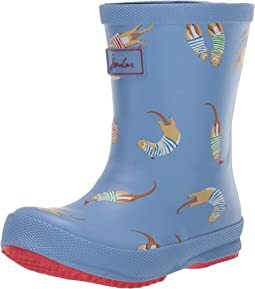 They are a gift to my grandson, who loves the crazy bugs and the numbers on the back which allow to measure how deep the puddle is which he just stomped through! 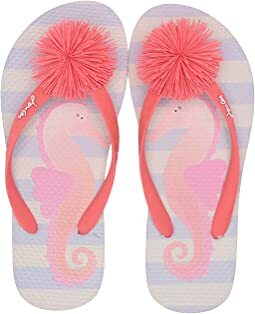 Ordered these for my daughter who has been wearing size 2.5-3, ordered the 3 and it was a full size too small. Returned for the 4 and while they now fit, there is very little room to grow. That being said, these are beautiful boots and my daughter LOVES wearing them, hasn't taken them off since they arrived in the right size! Adorable shoe, but one of the pom poms fell apart within two days of us purchasing, and I wouldn't say my daughter was rough with the slippers. Luckily I'm happy to mend things, so the little foam insert got resewn inside the fur wrapping and then reattached to the shoe. For the price, I was willing to forgive the poor construction. Bought a size 12 for my daughter who currently wears an 11. There is room to grow but can still walk fine in them. 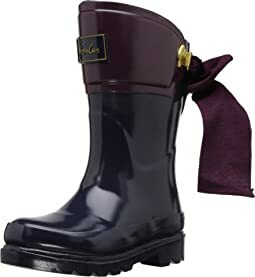 Very cute rain boots and loved the sale price! 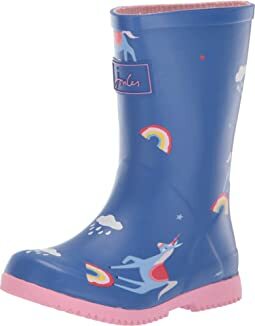 Bought this for my daughter and she loves these rain boots. They are pretty and comfortable. These flip flops run very, very small. I ordered a size up and were still too small. My daughter loves them. She loves how soft and cozy they are inside. They are not insulated (we live in Montana), but I bought a pair of wool insoles and they will keep her feet warm and take up space as we bought the boots a bit big. Got these for my 3yo son and he hasn’t taken them off since they arrived!! He loves them - easy to get on and off on his own. Two thumbs up!! 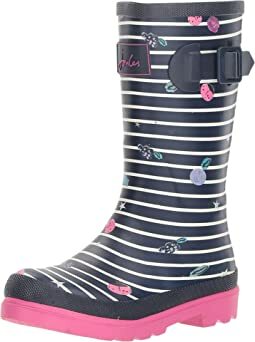 Super cute rain boots! 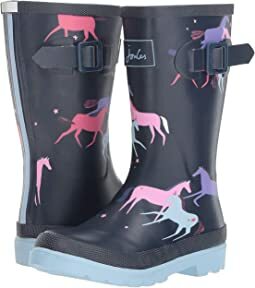 Got them for my daughter for the spring since we usually get lots of rain and it’s pretty muddy. She loves them - easy to get on and off and stay on well. Very cute. My daughter loves them. 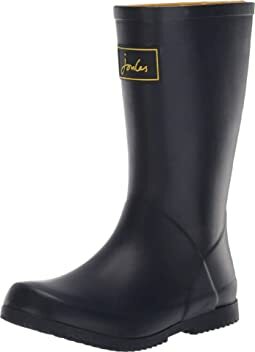 They aren’t ideal in a rainstorm but great for muddy areas. She loves wearing them when we know the ground conditions will be less than optimal. Great little boots! 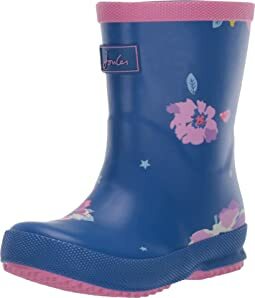 I love Joules, they are really well made boots and have really fun prints for kids! So stinking cute. My 2yr old loves them and hasn’t taken them off since they’ve arrived. She has slept with them on every night....SERIOUSLY!! 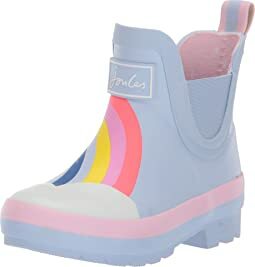 These are adorable boots and so far appear to be very well made. They look so sweet on my 2 year old. I was finding a lot less variety in the smaller sizes and was thrill to find this pair that was so cute. These were purchased as a gift and happily fit as expected! The style is beyond adorable! 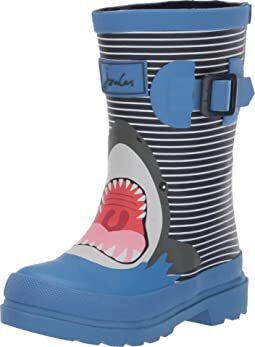 These boots are adorable and durable. 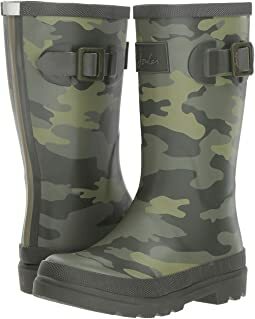 It is my daughter’s second pair and she wears them every day of the fall, winter, and spring in Michigan (obviously these are not snow boots, but still work for going around town in the winter). They run true to size. Highly recommend! My son loves them! They match his dinosaur rain coat perfectly ? My 11 year old daughter loves these. She has a narrow foot so any boot usually fits her fine with respect to width, and I usually try to buy boots on the larger size so hopefully they’ll last her a year, or 2. She has ample length with these. Haven’t faded or scratched since she has been wearing them, which has been a lot. Very satisfied with the quality. 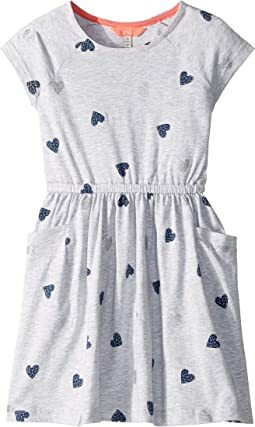 So cute and soft, but there is no way the large will fit up to a US size 3 foot. My daughter is a narrow 2.5 and could not even get these on. My daughter loves the boots. She wore them all weekend. 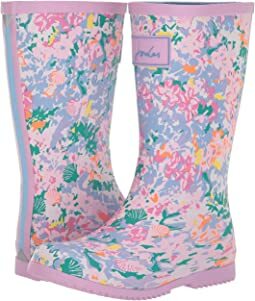 They are perfect for a short rainboot.